Skillanthropist Randy Coutts used his background in finance and banking to improve the sustainability of a women’s cooperative in India. In 2008, Basanti Kisan, a recently widowed mother of three, was living in abject poverty and barely getting by, making brooms to sell at the village market. When a local industrial plant took all the surrounding land in her village, she could not find enough raw materials to maintain her broom-making venture. Refusing to be discouraged, Basanti applied for a small loan from Subhalaxmi Mahila Smabaya Ltd. (SMS), a women's cooperative in India, to start a grocery. Based in the state of Odisha, SMS – which is completely owned, managed and controlled by its members – provides sustainable livelihood solutions to its members through quality microfinance and business development services. SMS approved Basanti's loan and gave her training that helped her open her grocery store and later diversify into poultry farming. Today, she owns her own home and proudly provides for her family. SMS, which has helped more than 1,200 women like Basanti start or grow businesses, is recognized by community, government and private agencies for its quality microfinance and livelihood promotion services. To improve its financial stability, SMS decided to establish its own spice-processing and packaging social enterprise, which it believed would also provide livelihood opportunities for its cooperative members. However, SMS was unable to move the project forward because its staff did not have the expertise to develop a sustainable business model for such a large-scale endeavor. 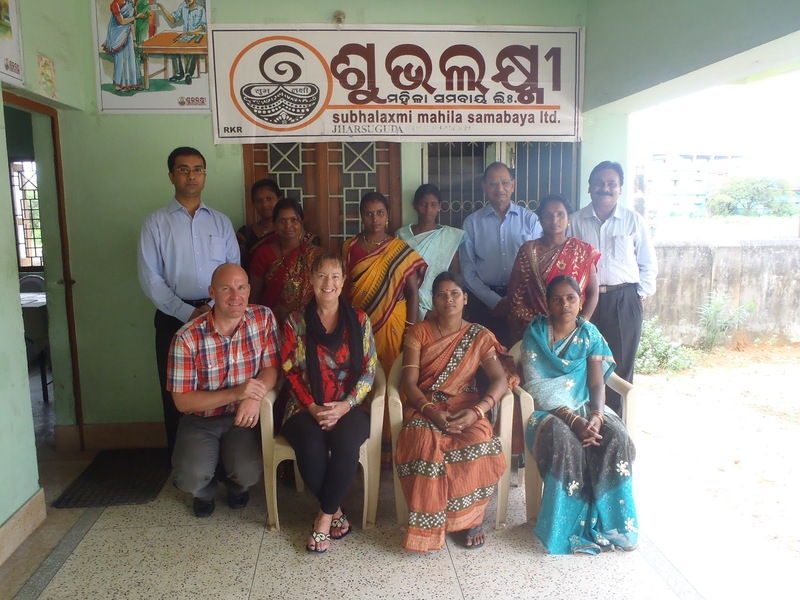 This October, Grameen Foundation Bankers without Borders® volunteer Randy Coutts – a finance professional with 20 years of banking experience – and his wife, Cathy, traveled to Odisha to help SMS. One of his first appointments was with Basanti and the SMS Board of Directors. "The board is made up entirely of members of this women's cooperative, and you have to remember that these ladies all faced – and many still face – immense barriers of poverty and exclusion," Randy explains. "When you see their spirit and powerful pronouncements at the meeting, you'd never guess the harsh roads they have travelled." Inspired by their accomplishments and commitment to helping other women, Randy spent the next two weeks meeting with spice processors, wholesalers, agricultural marketers, farmers and other SMS beneficiaries to better understand the needs and challenges facing the organization's new social enterprise. "It was a real insight to realize that even though we were in a completely different culture, halfway around the world, we could sit down with farmers and entrepreneurs and discuss matters that are the same all over the world, and come up with some advice to share with each other and the agency." Drawing from his onsite research and his own substantial experience, Randy drafted and presented to the Board of Directors and other stakeholders a comprehensive business plan for the spice-processing plant and a detailed business analysis of SMS's current operations. Its management team now has the information it needs for discussions with potential grant funders and banking operations that can help SMS achieve its goal. Randy says he was humbled and amazed by his experience with Grameen Foundation and SMS. "Not only are these folks doing deeply impactful work, but they are doing it with heart and soul. They opened their books and they opened their operations. What touched me most is that they opened their homes and gave us a peek into their lives as well. We were welcomed as consultants and I believe we left as friends."